The speech below was one of 126 delivered in my World History class this spring. The student gave a forceful and emotional reading that enthralled the audience and effectively placed them at the scene of Kristallnacht. At 487-words, this speech took the student 3:47 to deliver. It was a tour de force. I wish more than 40 people had been in my class to witness it. We went out into the street. The crowd of people became the street, all tripping over each other towards a nearby synagogue, all shouting angrily. We had followed. As we reached the synagogue and halted, silent and angry, we could see at the end of the building, flames rise. The crowd rushed forward and their greedy hands tore seats and woodwork from the building to feed the flames coming from the east of them. Behind us we heard more shouts. We turned, and saw a part of the mob start along the road to Israel stores. During the days the store’s held granite cubes ostensibly used for repairing roads. Youths, men, and women, screaming deliriously, hurled these blocks of granite through anything glass. Within a few minutes the doors gave away and the indignant mob rushed inside to pillage and loot. By then the streets were chaotic, filled with bloodthirsty people screaming for the death of Jewish people. A man tried to protect an aged Jewess who had been dragged from her home by a gang. Provided, I pushed my way through to help him and, between us, we managed to heave her through the crowd to a side street and safety. The center of their hate was a hospital for sick Jewish children, many of them cripples or immobilized. In minutes the windows had been smashed and the doors forced. We arrived when, the swine were driving the wee mites out over the broken glass, bare-footed. The nurses, doctors, and others were being kicked and beaten by the mob leaders. This was the personal story of Michael Bruce, a non-Jewish Englishman. He had watched this horrid act along with many others would had stood by while it occurred. This event is known as “Kristallnacht,” where Nazis and their supporters in Germany engulfed synagogues in flames, vandalized Jewish homes, schools and businesses, in addition to killing close to 100 Jews, but what had caused this event? In 1938, Herschel Grynszpan, a 17-year-old Polish Jew learned that the Nazis had exiled his parents to Poland from Hanover, Germany. As retaliation, on November 7, the teenager shot Ernst Vom Rath, a German diplomat in Paris. Rath died two days later, and Hitler attended his funeral. Joseph Goebbels, who was the Nazi minister for public enlightenment and propaganda, immediately seized on the assassination to rile Hitler’s supporters into a rage that would cause a terrifying wrath. The Night of Broken Glass was the result of that rage. After all these atrocities, little action was taken by neither Europe nor the United States. Even if President Roosevelt instructed that refugees already in the U.S. could stay, that does not excuse the fact that we did NOTHING to stop it. Therefore, we must honor the people who died. We must honor the people we did not save. We must remember the innocent people whose lives were stolen. “Kristallnacht Eyewitness Accounts and Reminiscences – Simon Wiesenthal Center Multimedia Learning Center.” Kristallnacht Eyewitness Accounts and Reminiscences – Simon Wiesenthal Center Multimedia Learning Center. N.p., n.d. Web. 22 Feb. 2015. <http://motlc.wiesenthal.com/site/pp.asp?c=gvKVLcMVIuG&b=394831&gt;. Ballastk, Angela. “Kristallnacht: Background & Overview.” Background & Overview of Kristallnacht. The Holocaust Shoah Page, 2000. Web. 03 Feb. 2015. 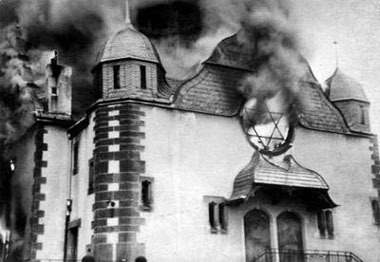 <http://www.jewishvirtuallibrary.org/jsource/Holocaust/kristallnacht.html&gt;. Shirvanian, Armen. 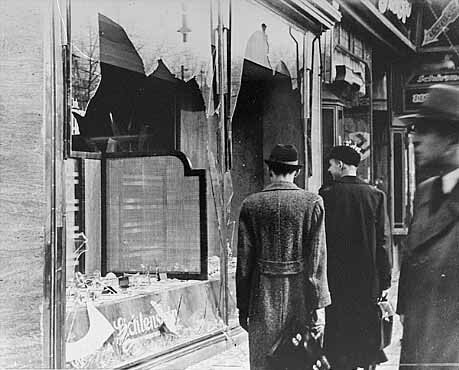 “The History Place – World War II in Europe Timeline: November 9/10 1938 – Kristallnacht, the Night of Broken Glass.” The History Place – World War II in Europe Timeline: November 9/10 1938 – Kristallnacht, the Night of Broken Glass. The History Place, 1997. Web. 05 Feb. 2015. <http://www.historyplace.com/worldwar2/timeline/knacht.htm&gt;. I have been experimenting with a robo-grader called PaperRater. It gives the students immediate feedback on (1) originality, (2) spelling, (3) grammar, (4) word choice, (5) transitional phrases, (6) sentence length, and (7) academic vocabulary. This enables the students to shore up any weaknesses in their writing before they give it to me. You can read the report on this speech HERE.